Why should you choose a mobile card terminal? Keep your business moving with our mobile card machines. If your business is always on the move, the ability to accept mobile card payments will be crucial. Whether you are working as a taxi driver, market trader, fast food delivery company, plumber or sell across a range of different locations, a mobile card machine is essential to keeping your business moving. Our mobile card payment machines are reliable, light and user friendly. They also work in the exactly same way as a countertop terminal and accept all types of credit and debit card transactions. The safe, fast and secure payment solution for your business. 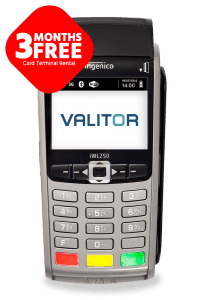 These mobile terminals connect to a trusted mobile network via a roaming GPRS or GSM signal, so you can be sure card transactions are safe, fast and secure. This dual connectivity also ensures your mobile card terminal can be used virtually anywhere in the UK and Europe.